Let’s face it, Europe is an amazing place to visit. But what if you’ve already visited all the major cities and are not sure where to go next? Ready to visit some cities that aren’t filled with tourists? Or if you just want to discover some hidden gems? We’ve made a list of some of our favorite underrated European destinations. So whether you’re studying abroad in Europe and need some study abroad weekend trips or just want some new vacay ideas, we’ve got you covered right here. And if you need some flights, you know where to find the cheapest student flights. The city of Bruges is a perfect alternative to the more crowded (although no less wonderful!) city of Brussels. 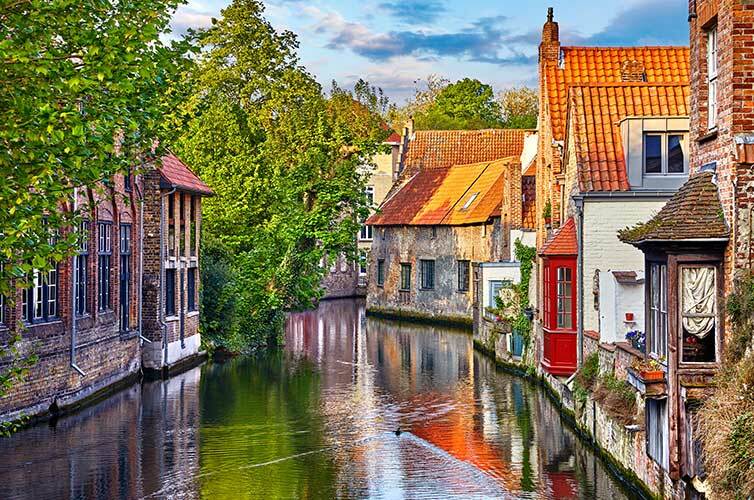 Often referred to as the “Venice of the North”, due to its extensive and picturesque canal system, much of the medieval architecture of Bruges is still intact. Key Instagram-worthy locations? Check out the Church of Our Lady, Mineewater Lake, and the Belfry of Bruges. Plus, you can climb to the top of the Belfry for stunning panoramic views of the city. Bruges is also perfect for chocolate lovers. The Choco-Story Museum’s devoted to those with a cocoa-rich palette. Beer connoisseurs will find comparable delight at the annual Bruges Beer Festival, featuring more than 300 beers. 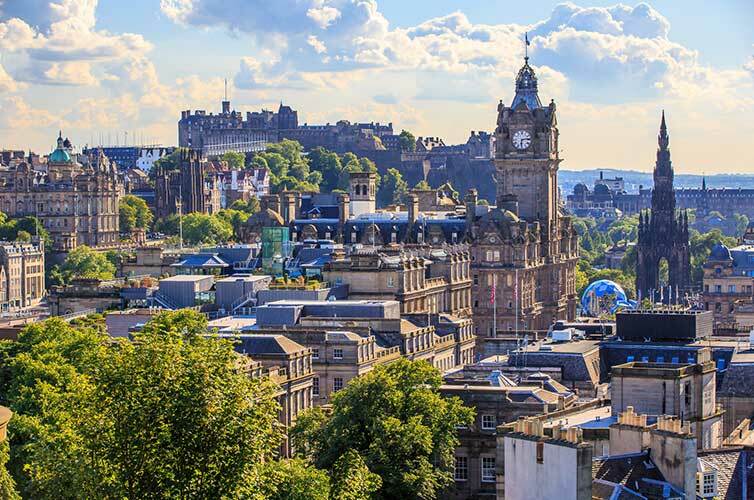 Easily walkable, impressively picturesque, and student-friendly, Edinburgh is a just quick flight from London while offering a healthy dose of Scotland’s distinctive culture. Head to the Royal Mile in Old Town to watch street performers and listen to some impromptu bagpipes performances. Get lost wandering through medieval alleyways with the iconic Edinburgh Castle shadowing overhead. And be sure to stop by Mary’s Milk Bar for some of the best gelato in town. If you’re pining for an afternoon pint or midday cappuccino, head to Rose Street in New Town, which is a pedestrian friendly esplanade with more pubs and cafes than you can count. New Town Edinburgh is a great place for eating and shopping. If you’re looking for something else to do though, check out the Scottish National Gallery. It’s the perfect place to spend a rainy day. You’ve probably never heard of Riga—and maybe you’re not too familiar with Latvia, either. But no worries, we’ll fill ya in. Riga is the capital city of Latvia, a small country across the Baltic Sea from Sweden. Latvia is amazing on it’s own, with tons of beaches on the Baltic Sea and picturesque forests. But Riga is a cultural hub on the Baltics, known for it’s many museums, postcard-perfect city streets and architecture and medieval Old Town. Bonus? The Old Town is pedestrian-only, which means it’s super walkable. Plus, packed with endlessly instagrammable streets and shops, cafes and nightlife, Riga is an incredible summer city. Even if you only have a day to make a detour, Riga is worth stopping in to see. 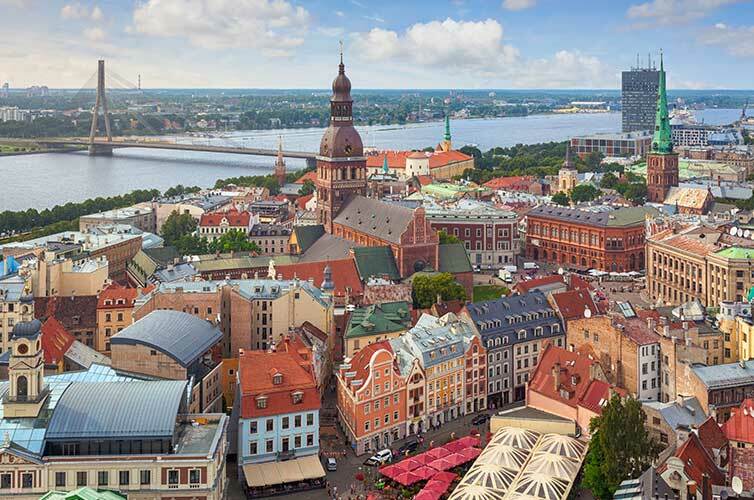 Wander through Old Town city streets, check out the castles and cathedrals spread throughout the city, and check out the largest market in Europe, Riga Central Market. No matter what you like to eat, we can pretty much guarantee you’ll be able to find something there! Recently (and due in part to the popularity of Game of Thrones), Croatia is becoming more and more popular. Its numerous outdoor activities, thriving nightlife and incredible culture means that Croatia is quickly becoming a hotspot for travelers. 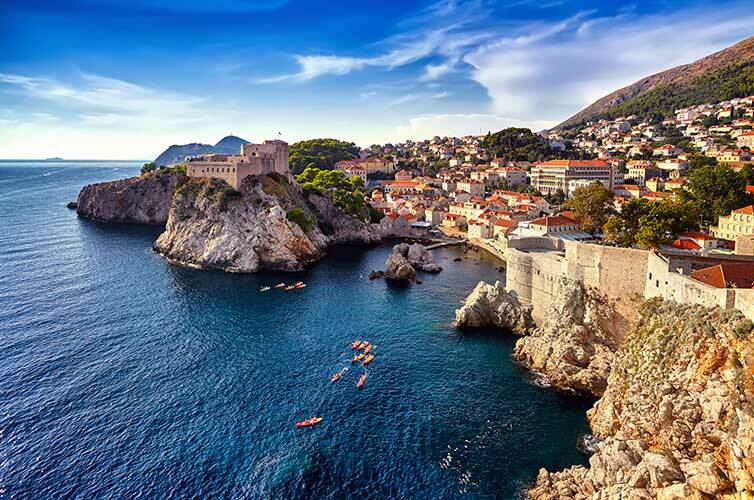 As the ‘Jewel of the Adriatic’, Dubrovnik boasts some of Europe’s most beautiful beaches and offers a prime alternative to its more expensive neighbors (Italy and Greece). Once you’ve experienced Dubrovnik, be sure to check out some of the other cities in Croatia, too: Split, Hvar, and Zagreb are all amazing stops. Explore old cities, enjoy the rich Croatian food and culture and live it up at the beaches (and beach bars). Arguably one of the most amazing and underrated cities in Europe, Budapest is often overshadowed by more famous cities like Paris and Rome. Budapest is home to stunning art, architecture and history. Plus, it’s actually a lot less expensive to visit than some other major cities, so it’s a great option for travelers on a budget. While you’re there, be sure to visit the Buda Castle (all the heart eye emojis). Then hop over to the Szechenyi Thermal Baths for a relaxing afternoon. There are indoor and outdoor pools and spas, so you’ll have a place to relax no matter the weather. Most instaworthy spots? Anywhere in the City Park (especially the Vajdahunyad Castle!) and the Hungarian Parliament Building. And, oh did we mention the Fishermen’s Bastion? Aside from it being absolutely gorgeous on it’s own, it also offers some pretty stunning views of the city and the Danube river. Lisbon is definitely the most famous city in Portugal, but Porto is also not to be missed! While the city is best known for its signature export, port wine, locals (rightly) insist the magic of Porto is not restricted just to what you can find in a bottle. Visitors to this Portuguese city will notice the aforementioned magic upon arriving in São Bento railway station. The station, located in the heart of Porto and famous for the scenes depicted on its tile-paneled walls, stuns you as soon as you arrive. Art is also very much alive in Porto. Visit the Casa de Musica and stroll through the galleries down Rua Miguel Bombarda. End your day at Soares Dos Reis Museum for a healthy dose of both new and old. Porto’s location on Rio Douro makes for an ideal afternoon or evening on the water. If you have the time, river cruises offer a wonderful and all-encompassing view of the city. Ready to uncover some hidden gems in Europe? Grab a cheap flight to Europe and get going. Planning your summer adventures? Add one of these music festivals to your list so you can jam with your friends and explore a new city at the same time!